Jayne is an interesting character, but she forms the backbone of this novel. She is a loner, not particularly social and does not have close ties to family. When her uncle dies, she is surprised to learn she inherited a fortune. However, not everything can go right for poor Jayne as she discovers that she inherited far more than money from her dearly departed uncle. Jayne will have her hands full with wizards among other paranormals. 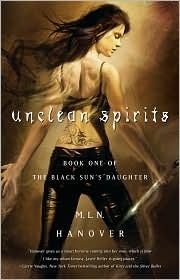 The author places a new spin on just what paranormals truly are. The reader will enjoy this latest explanation, complete with details. Although Jayne is certainly the focus of the novel, there are many other secondary characters that take a fairly large part of the book. The reader will enjoy the humor of Midian and the wit of Aaron. This book is fast-paced and action-packed, recommended to young adult/teen readers.